For many Country Music isn’t what it used to be. Sales might be stronger than ever, but the new breed of blow-dried pop acts simply lack authenticity. 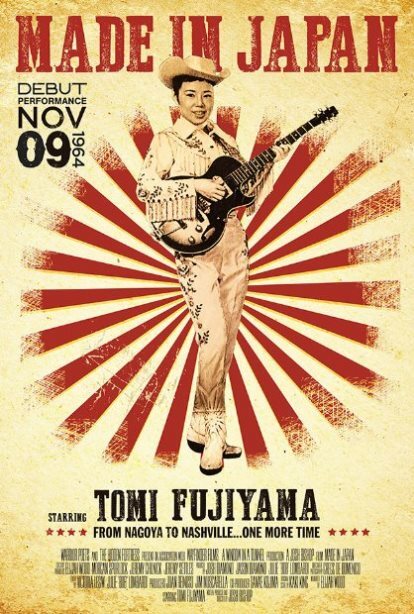 However, Tomi Fujiyama is the real deal. She was Country before Country was cool—in Japan. She even played the Grand Ole Opry in 1964, when it was still broadcast from the hallowed Ryman Auditorium. She would love to have a return engagement, but the current group of squares in charge apparently lack vision. Nevertheless, she continues to pursue her Country dreams in Josh Bishop’s Made in Japan (trailer here), which just screened during the 2015 Portland Film Festival. 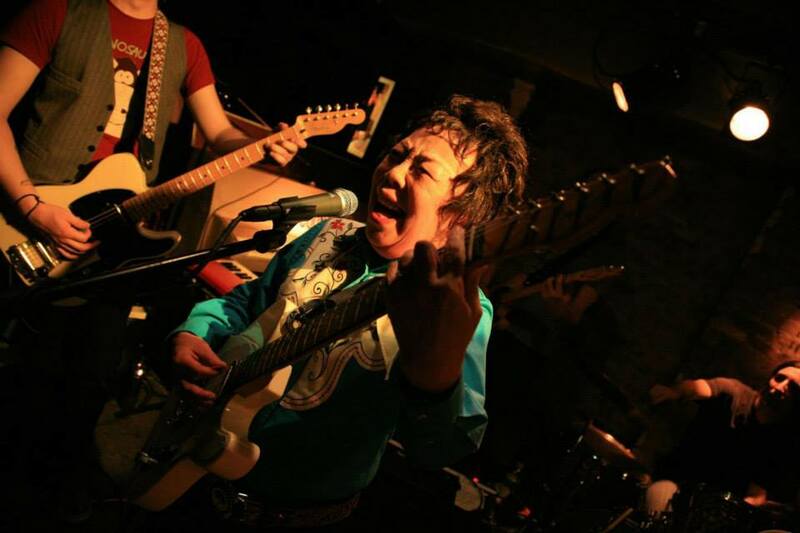 Tomi Fujiyama has had more than her share of career setbacks, yet remains astonishingly upbeat and energetic. She initially cut her teeth playing American music in U.S. military base clubs, quickly figuring out what styles generated the most tips. Although there were plenty of folks in the music industry only too happy to take advantage of her, at least one American cat was willing to take the time to work on her pronunciations. As a result, her singing voice is something else. When carrying a tune, she has almost perfect diction and a surprisingly deep and resonant tone. Frankly, she owns “Tennessee Waltz,” pure and simple. Returning to America with her quietly indulgent husband, Fujiyama revisits the sites of her eventful days playing Nashville and Vegas, while campaigning for another Opry gig. Not to be spoilery, but the Opry Entertainment management just didn’t get it. Instead, Fujiyama is embraced by a younger, hipper new traditionalist movement thriving outside the Opry establishment. Bishop’s experts cogently explain the fractures in contemporary Country music, while also providing full historical context, way back to the music’s roots in English sea shanties and murder ballads. Elijah Wood also handles the narrator duties with clarity and what sounds like affection. However, there is no question Fujiyama is the engine that makes the film go. Her charm and charisma are undeniable, but it is her voice that will get you. She can hold a room full of No Depression-reading music snobs absolutely transfixed with her renditions of traditional Japanese folk songs. Even if Made did not quite have the ending Bishop and Fujiyama’s friends hoped for, it will still give you a nice warm feeling. (Nevertheless, if you think its lame the Opry has not booked her yet, drop them a line here and ask them why. They would definitely like to hear from you. That’s why they provide a method to give feedback.) Sweet and entertaining, Made in Japan would make an intriguing double bill with Banjo Romantika. Very highly recommended, Made in Japan screens next at the Calgary International Film Festival, following its West Coast premiere at this year’s Portland Film Festival.